Liberty Garden Viper Hose Pot 1908 PPP, Avi Depot=Much More Value For Your Money! 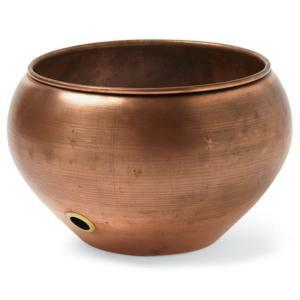 This 100 ft. decorative hose pot will look great on your lawn or patio while concealing your unsightly garden hoses. Convenient center stem hose winder makes storing and extracting your hose easier and also keeps hose from crimping. Each pot is made of solid steel and then plated or hand finished with an attractive, durable coating.